The holidays are coming! If you’ve got relatives in town, this is a perfect ride for those who are not used to riding on busy city streets. 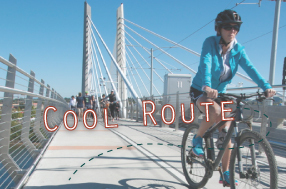 This ride really packs a punch, city views, river views and plenty of very cool Portland features as you check out the new Tilikum Crossing: The Bridge of the People.